Artist Laurel Burch strove to create images that would remind people of the ongoing world of the spirit. Three magical, beautiful images that will give you the freedom of expression to color and enjoy. For coloring suggestions, download Laurel’s preferred color palette from our Tips and Techniques section. This original design is copyright Laurel Burch. It is deeply etched and precision cut from premium gray rubber on a 1/8" gray rubber foam backing then mounted on Stampendous Cling Rubber. 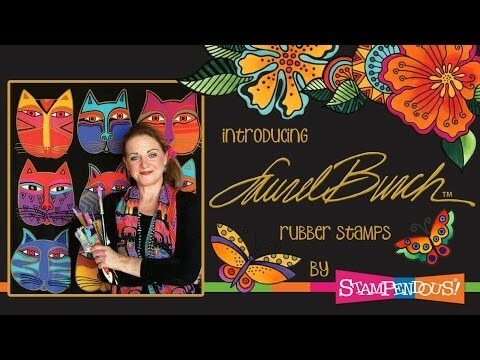 Laurel Burch Caballos Cling Rubber Stamp Set was added to your cart.